Hi all, is there a tutorial for this application ? I create a plant and all I get is a white bulk of something. Maybe i have to import textures, however, how would I apply them ? Hi MeepMeep. 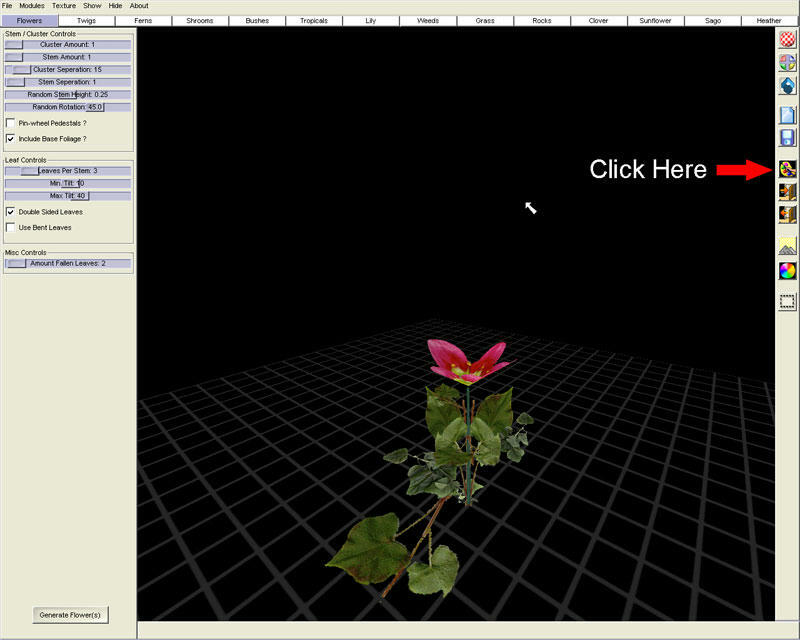 I am not really aware of any substantial tutorials for Plant Life, but I can help you out with your texturing issue. Plant life already ships with some great textures for use with each module of the program. All you need to do is click on the texture button, and choose the various textures for each part of the model. From here you will see a new window with boxes for things such as stem, leaf 1, leaf 2, flower etc. Click on each to choose the texture you want to use. Thank you, this very much solved my problem, the rest is pretty much self explanatory I just did not find the pesky textures. Have fun with the program.